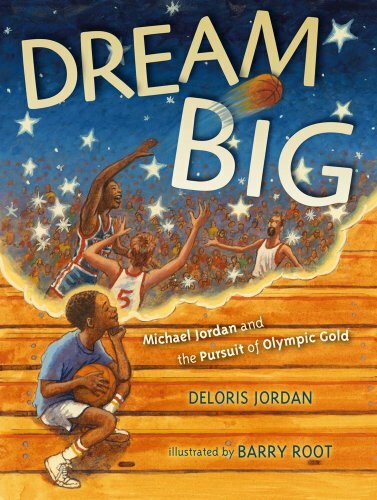 Olympic dreams come true in this inspiring picture book from Michael Jordan’s mother, author of the New York Times bestselling Salt in His Shoes. Long before he became a professional All-Star basketball player, Michael Jordan had dreams of winning an Olympic gold medal—and with dedication and perseverance, that’s exactly what he did. This heartwarming picture book, written by Michael’s mother and illustrated by Barry Root, gives a rare glimpse into a sports hero’s childhood and emphasizes the role that good values play in success. An ideal companion to the New York Times bestselling Salt in His Shoes and releasing in time for the 2012 Olympics, Dream Big is an inspiration to all.